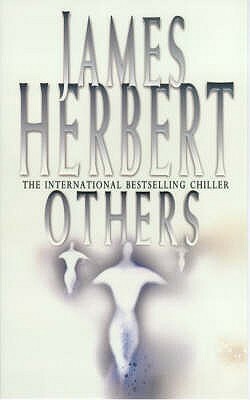 Others is an unusual book with an unusual central character. It is the story of a man called Nick Dismas. Nick runs a rather successful private investigations business in Brighton. It isn’t Nick’s line of work though, that makes him such an unusual character. It is his appearance. In his own words, he was born a monster. His face and body are hideously malformed but, regardless of what he may look like, Nick is no monster. He is kind, caring, and extremely smart. From the very first chapter of the book there is something that the reader knows about Nick that he does not discover until the very end: he has not always been monstrously ugly. In a past life he was a very attractive and successful man. Women wanted him and men wanted to be him. He was, in fact, a 1930s film star. In his former incarnation, though, Nick’s ugliness was on the inside and when he died he went straight to Hell. And that is where the reader finds him in chapter one. Fortunately for Nick—who has yet to become Nick, of course—the powers that be consider that he did have some redeeming features and he is offered a second chance if he wants it. Of course, he does want a second chance and he takes it, fully aware that if he screws-up this time things will get even worse for him. Can things get worse than Hell? Apparently so. There is just one condition to his going back: he won’t remember a thing, but still he must choose what is right. In Chapter two Nick is sitting behind his desk and interviewing a new client. She is called Shelly Ripstone. Her wealthy husband has just died and now, alone in the world, she is trying to locate the lost son that she gave birth to many years before she was married. To make Nick’s job just that bit harder, after the birth, Shelly was told by the hospital that her son was dead. Needless to say, Nick is confused about why Shelly has come to see him. The answer is simple, if a tad unbelievable for the investigator, a clairvoyant has told Shelly that her son is alive. Despite his natural reservations about it, Nick decides to take the case. He starts at the hospital and hits a dead end. The hospital had burned down ten-years ago. As a matter of course, Nick has one of his employees look up the registrations of the child’s birth and death, but finds out that neither was registered. This is odd, and as Nick looks further into it, despite running into many a dead-ends, he finds himself drawn into to something very strange and sinister. Others is 504 pages long and I enjoyed it very much. It is a very complex story and there is a lot going on. As a hero, Nick is a little unusual, but I found myself behind him all the way and sympathizing with his predicament. There are plenty of other likable characters in Others, but the necessary bad guys really are bad guys—or gals—and I was really glad when they got what was coming to them. Good books always need to invoke an emotional response in the reader. Others is a good book and the characters seen real enough to get a response from any reader.